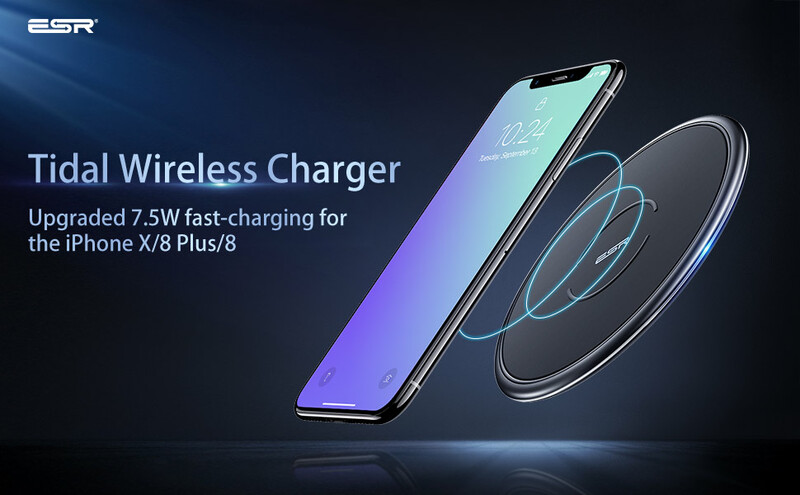 Faster Charging: The ESR Wireless Charger is 0.5 hour faster than a standard wireless charger with 7.5W fast charge capability. 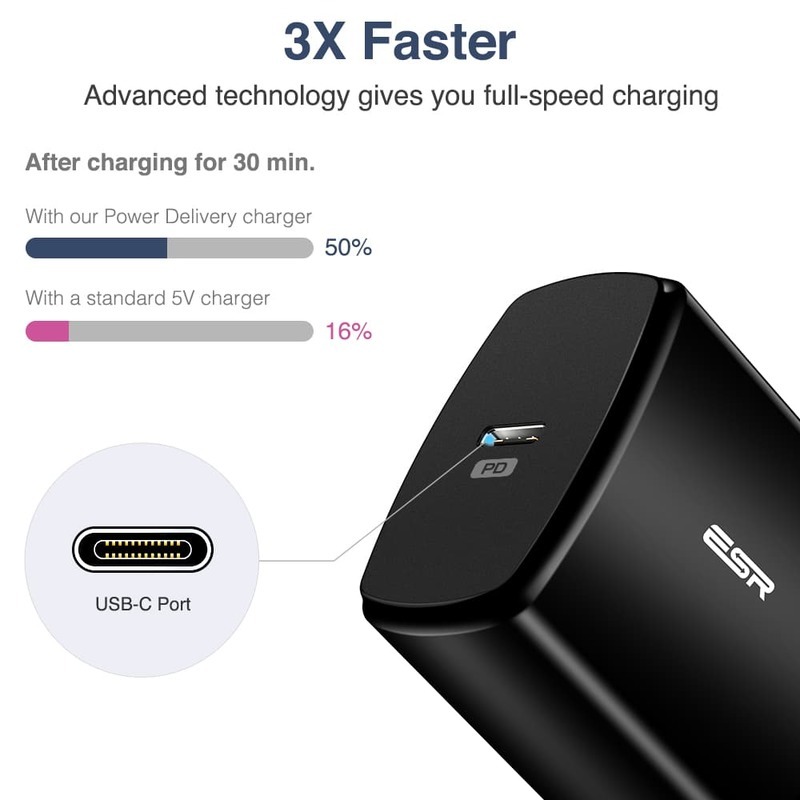 7.5W Fast charge for iPhone Xs Max, iPhone XR/Xs/X, and iPhone 8 Plus. 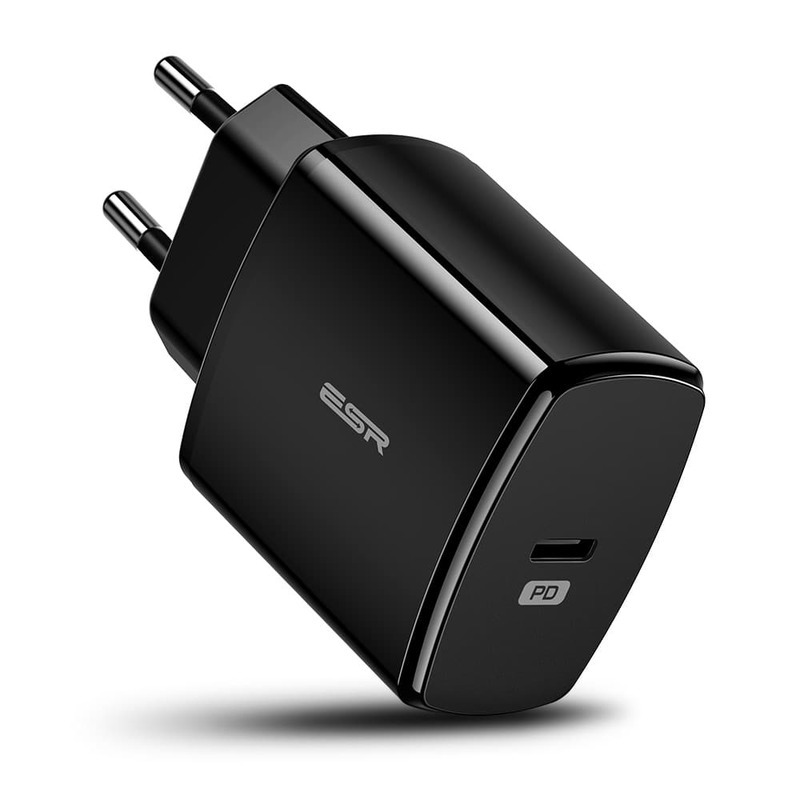 10W Fast charge for Samsung. Safe Stay-Cool Design & Sable Charging: Advanced built-in cooling system + Metal frame help better heat dissipation. Foreign Object Recognition automatically detects your wirelessly chargeable device and shuts off when foreign me tal objects are detected. Easy & Sleep-Friendly: Stay away from the annoying wires and enjoy charging your device free. Simply place your smartphone on the charger to start charging, the LED light will illuminate for 60 seconds then automatically turns off while charging continues. Universal Compatibility: Compatible with any Qi enabled device, iPhone & Samsung. Slim (8.6mm) and light (1.8oz/ 50.6g) for wireless charging that goes where you go. A reversible connector makes USB-C even more convenient. 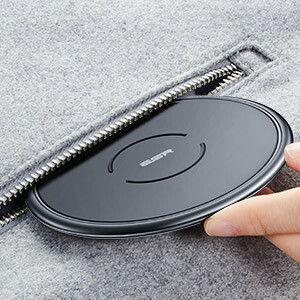 This wireless charger is not compatible with the iPhone6/ 6s/ 7 or the Apple Watch. 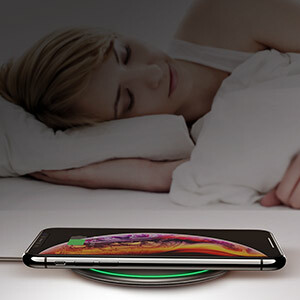 It is normal for the receiving coil or plate to heat up during the wireless charging process. We use an aluminum-alloy design for better heat dissipation. First, please ensure your phone is Qi wireless-charging compatible. Second, please make sure the phone is aligned with the center of the charging pad. Please remove phone cases thicker than 4mm. 1. Please do not place any metallic objects or magnet cards on the charging pad as they may be damaged or interfere with the charger. 4. 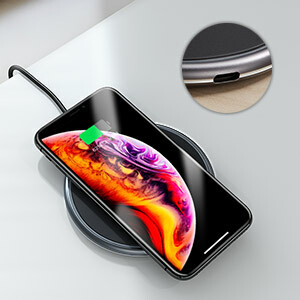 Please keep the ESR Wireless Charger away from water and other liquids. Doesn’t seem to work properly with Apple’s Airpods 2 wireless charging case. Seconds after placing the case on the pad, the green light flashes quickly and the case doesn’t charge. I’ve tried to different ESR Tidal Metal-Frame wireless chargers and they both were used with ESR’s 36W PD Wall Charger. Sorry for the inconvenience, please place Apple’s Airpods 2 wireless charging case according to the picture below. If the green light is off, it is in the state of charge. Well it works, it does what it’s meant to and I haven’t had any problems with it. You put it down on the pad and and it charges your phone. More often than that it doesn’t detect the battery and I have to manoeuvre the phone a couple of times before it detects it. Great item. Looks so cool, very easy to use and the face recognition Is instant. I am very happy, It works great. Thank you.